Oh Mondays you come and go leaving me feeling a little bit less like myself. I don’t know what it is. I had such high hopes, a fresh new week full of promise and to do lists. I need a buffer. A day in between my weekend and Monday’s inbox who looks at me with a raised eyebrow wondering how long it will take before I decide to dive in to the stack of aging email. The Mortal Muse Mobile Pool is just that place. I can gaze into someone else’s life for awhile until I figure out how to reengage in mine. Take a look and see if you don’t find yourself adrift. Thank you to eveyrone who allows us to share your vision on our group pools. If you would like to join in you can now find us on Instagram as @MortalMuses – TAG YOUR PHOTOS #instamuse. You can also simultaneously upload your instagram photos to flickr, once they are there make sure to add them to our Mobile Monday Flickr group. 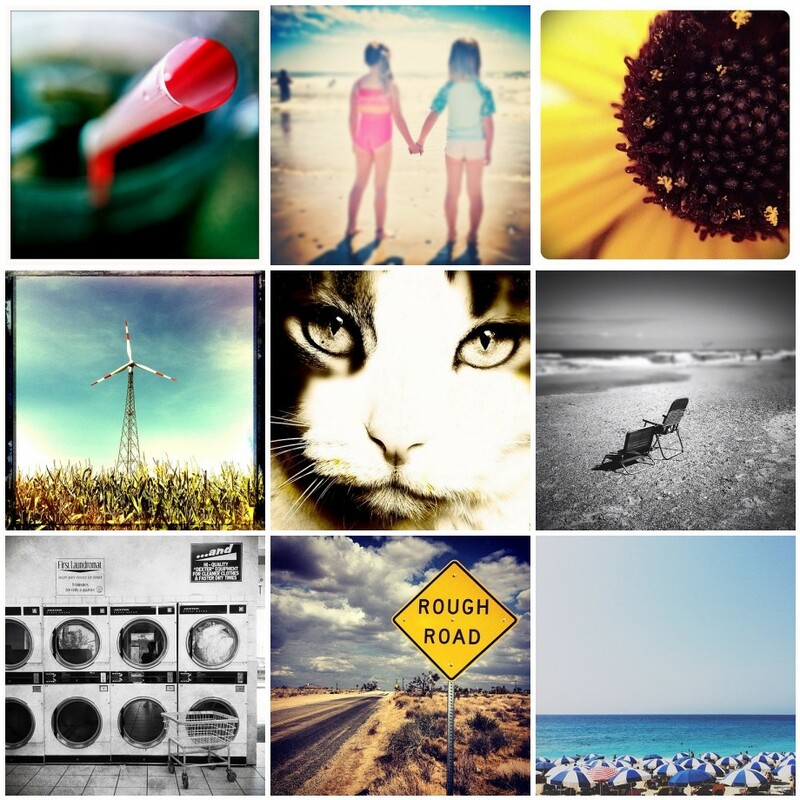 We would love to showcase your mobile photography here on the website as well as on our Instagram account. The muses on instagram are : Kirstin @ kirstinmckee, Christy @ urbanmuser, Ashley @ ashleyrisk, Cara @ tumbleweedineden Holly @ soupatraveler, Lindsey @ modchik, Meghan @meghandavidson Debra @ Manifeisty and Jenny @ Jennifee_09. What a lovely Monday collection. I love them all, but those tiny umbrellas seem to be catching my eye. Thank you Mortal Muses. Thank you for including mine here. Twice! Thank you soooooo much for including my shot of Annie!!! I am very touched!!!! Great collage! Thanks for including my photo!